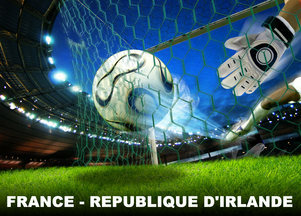 The France vs. Ireland match is going to determine which of these two teams will be going to South Africa for the 2010 FIFA World Cup. Ireland will host their first game on November 14th and then France will host the second game on November 18th. The outcome of these two games will determine which team moves on to grab that World Cup spot. Tickets will sellout quickly so if you plan to attend sign-up now on the Stade de France website to be notified immediately when tickets go on sale for the France vs Ireland playoff game.